With only four Saturdays remaining until Christmas (!!! ), give yourself a pat on the back if you’ve already finished your holiday shopping and have a stack of perfectly wrapped presents sitting under your tree. If you’re like the rest of us, chances are you’ve hardly made a dent in your list, and you’ve given yourself a few frantic hours to complete it. 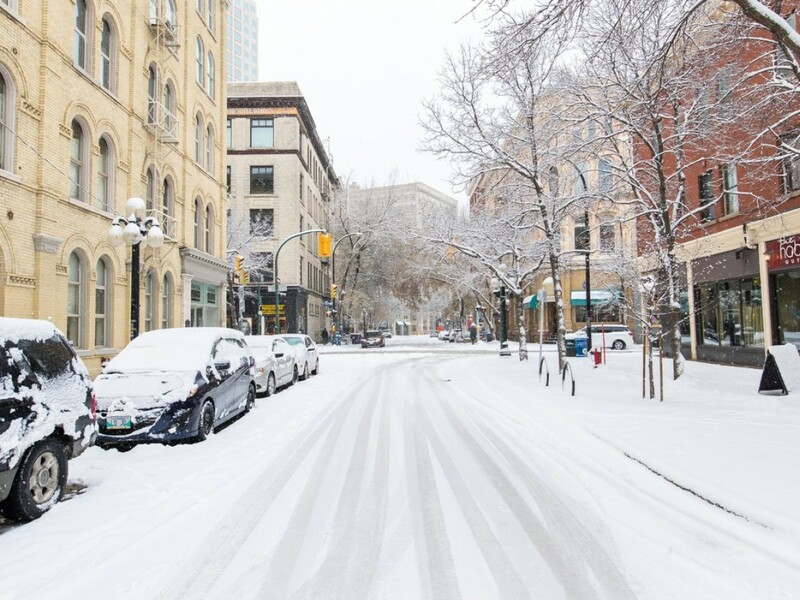 For this, you’ll want to head to Winnipeg’s historic Exchange District, where more than 50 unique one-of-a-kind boutiques, galleries, coffee shops, restaurants, and cocktail bars are all within an incredibly walkable 20-block radius. Only here can you discover local artists’ works at an eclectic artisan boutique, find a perfect piece of handmade jewelry, visit an award-winning fashion designer, and check out a unique collection of art at a thriving private gallery, all in one neighbourhood. 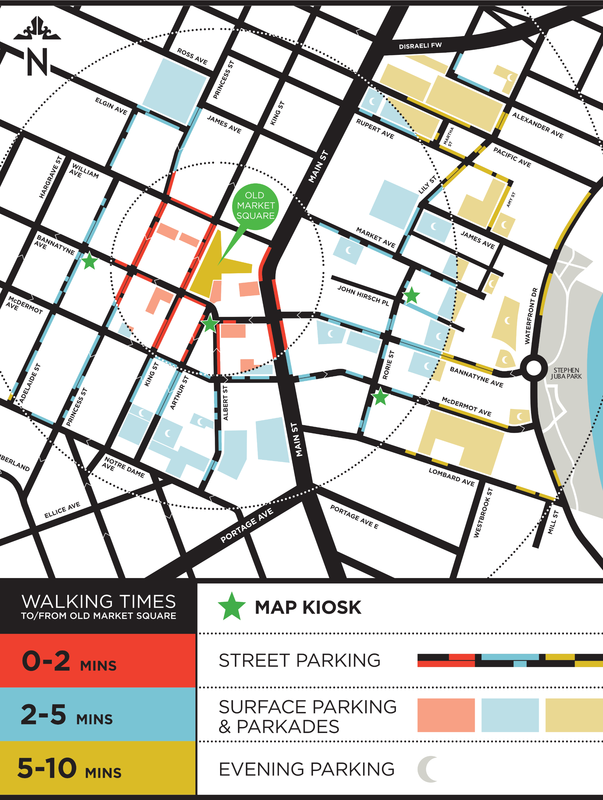 Park your car in any of the 32,000 parking spots in the downtown area, most of which are just a two-to-ten minute walk from Old Market Square, the hub of the Exchange District. If you park on the street and download the PayByPhone app, you can easily enter your location number (which you’ll find displayed on parking meters around you) and your duration without having to leave your vehicle or remembering to bring change (even better, you can use that change for handmade donuts at Bronuts instead #treatyoself). You’ll also receive a text reminder when your time is almost up! Next, we recommend heading to 290 McDermot Avenue, where the merriest of makers meet to sell their wares in an airy fourth floor warehouse space—including Wilder Goods, Oldhat, Commonwealth, Lot 15 ceramics, and others. Here, you’ll find pottery, ethically made clothing, hats, and leather and canvas goods. For more fabulous female fashion, continue down the street to Lennard Taylor, a boutique fashion house that designs, produces, and sells high-quality, fashion-forward women's clothing, or Boutique Anya, which curates an exceptional collection of contemporary minimalist designs, created by both local and international designers. If it’s charming, timeless gifts and home goods you’re after, you’ll make a big impression with pretty much anything from Tiny Feast, which is every designer, artist, and stationary geek’s dream come true. Try Toad Hall Toys for the kids (big or little!) on your list—it’s Manitoba's largest and oldest independent toy retailer, and the store’s old world charm is sure to put you in the holiday mood faster than you can say #MichaelBublé. Lastly, make a trip to Generation Green, filled to the brim with eco-friendly and sustainable products for environmentally conscious consumers. Swing by Little Brown Jug's brewery for growler fills, baseball tees, and cans of their oh-so-popular 1919 Belgian pale ale for the craft beer connoisseurs in your life. Success! Of course, no visit to the Exchange District is complete without brunch at Clementine. If you run out of time scarfing down a second braised bacon benedict, or decide on a perfectly light yogurt panna cotta to finish your meal, don’t fret—you can always extend your parking easily using the PayByPhone app. Parking through PayByPhone can also be done online or over the phone ( 1-204-957-PARK (7275) ), and zero transaction fees are involved! As a gift to yourself, be sure to enter PayByPhone’s holiday contest on their website, where you’ll have a chance to win one of two experiences at Thermëa—either the Grand Prize consisting of a thermal experience with classic massage (60 minutes) for two, or a thermal experience for two.